single strand knots | Relaxed. Transitioning. Natural. Beautiful. Quick Tip #20: Keep your Hair Shears Sharp! Have (a) single strand knots, (b) split ends, (c) incomplete spits, or (d) mid-shaft splits? Or, maybe worse, you may be like me and have (e) ALL OF THE ABOVE! Well, your hair regimen may not be to blame, after all. The culprit just might be … your dull hair shears ! Has it been a while since you resharpened them? I know it has been for me. In fact, I think I only sharpened mine (ahem) ONCE in the three years since I purchased them! 😳 Shout out to Fine Natural Hair & Faith for the reminder to upkeep our hair tools. Watch her informative video below for additional insight. 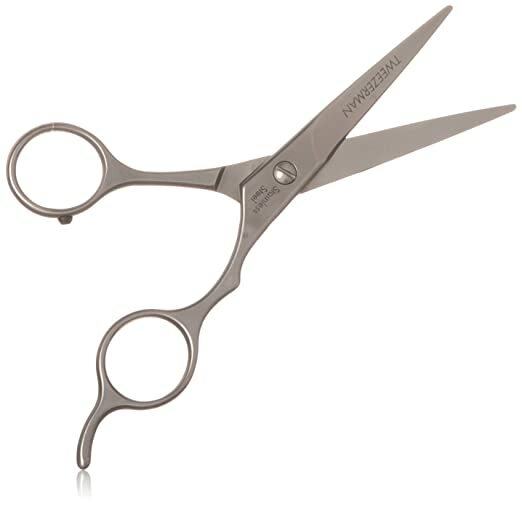 You can get hair shears for as little as $7 (e.g., 6.5″ Goody Hair Cutting Shears) or splurge on ones selling for the price of a used, mid-sized SUV (at thousands of dollars) in the shape of dragons, snakes, or scorpions complete with sterling silver handles. Or, you can go the practical route and choose a pair of professional Tweezerman shears for under $20 with a FREE lifetime sharpening guarantee! Whatever you decide, keep your shears sharp to make sure that your hair woes aren’t self-inflicted! 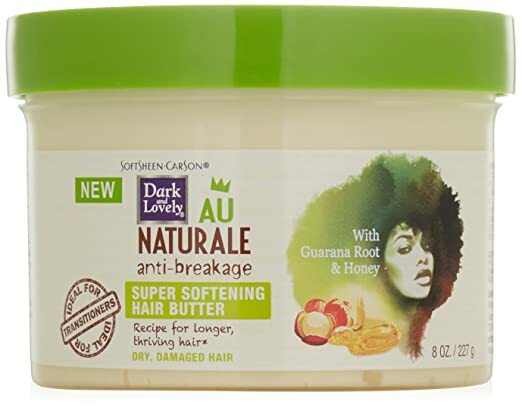 Okay, so you’ve been moisturizing your hair like a pro, have found the perfect products for your hair’s type, texture, density, length, and porosity, but your hair is still dry as a bone at day’s end! What gives? Let’s investigate! Do you live in a hard water area? This is a big one! Not sure? Get your water tested! You can request a free water test strip from Morton Salt, the leading provider of water softener salts. Hard water is water with a high mineral content. It leaves a scaly finish on your bathroom tiles as well as your skin and hair. While not hazardous to your health, it can cause hair and skin to be dull, dry, tangled, brittle, and even strangely colored. I recently found out that hard water is the reason I have been struggling with tangled, single-strand knotted, constantly parched hair. I uprooted from an area in Seattle with a soft to normal water table. When I first moved to Alabama, my hair was still partially relaxed, so I just thought my hair woes were due to transitioning from chemically-treated hair to my natural curls. After I Big Chopped, my hair was so short, it was super easy to moisturize and stay moisturized. It wasn’t until I started gaining length and needed to moisturize my hair incessantly that I realized something else had to be going on. 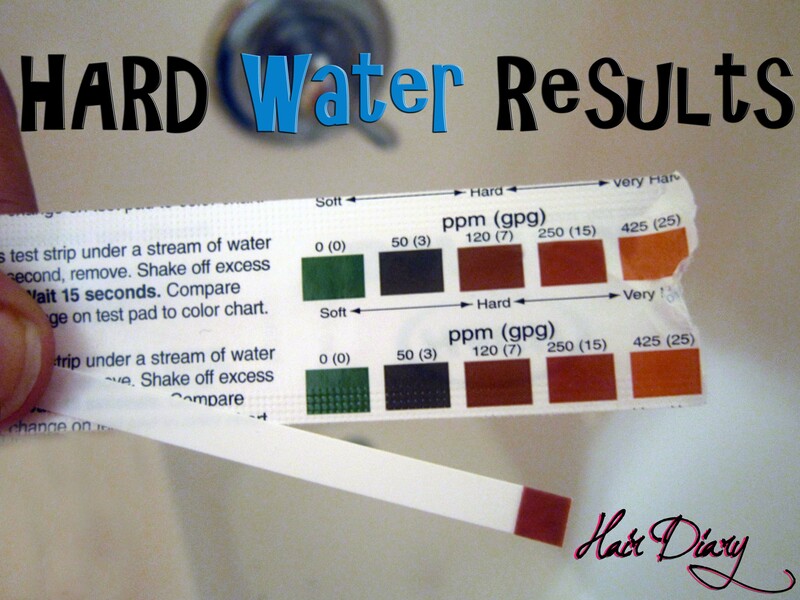 As you can see from my test strip, unfortunately for me, I now live in a hard water area. 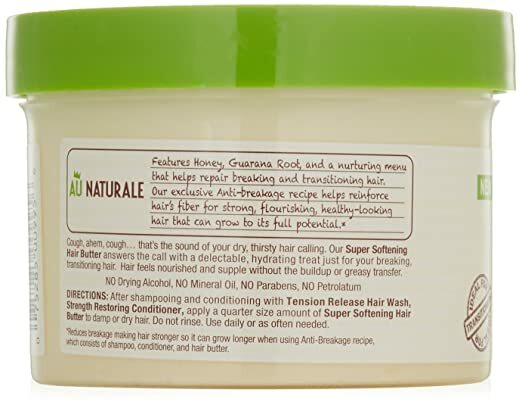 This has wreaked havoc on my hair’s health (in terms of retaining moisture and length). But, at least now I know what the culprit is. So many well-intentioned (but sometimes downright rude naturals and relaxed hair divas) have made comments about my hair and what I need to do … telling me I need to moisturize more, stop doing this, or start doing that! The problem with giving blanket advice is that it is done without knowledge of all the facts and individual- and situation-specific information. The truth is I moisturize my hair a lot! But, as anyone who has hard or very hard water like I do knows, extra steps are required to just maintain the health of your hair, let alone grow it, when you don’t live in a soft water area. The truth is that no amount of styling products can rescue your bad hair day when the root of the problem is your tap water. So, here’s some suggestions that can help lessen your hair woes. Using bottled (or filtered) water as a final rinse after shampooing and conditioning your hair will reduce the number of minerals that attach to your strands. This will create a more neutral environment for developing and maintaining moisturized hair. However, it can be a bit cumbersome to always have bottled (or filtered) water at the ready. I like to buy Bragg’s organic raw apple cider vinegar (with the mother) because it is unfiltered and contains “mother” strands of proteins, enzymes, and friendly bacteria that help to naturally balance your scalp’s pH, increase shine, and prevent limp, lackluster hair. I usually use a 60:40 ratio of bottled (or filtered) water to apple cider vinegar (ACV). But, you can play around with the ratios if it is too strong or weak for you. An oil rinse can effectively counter one of the primary side effects of hard water—dry, parched hair. It helps to seal in the moisture from water and prevent frizz. Use light oils like unrefined coconut oil or extra virgin olive oil for best results. Chelating shampoos prevent and remove buildup in hair. My favorite is ion’s Hard Water Shampoo and Hard Water Conditioner. This has been a complete game changer for me and an absolute must. I noticed a difference in the texture of my hair the first time I used it. I think this will definitely become one of my product staples. However, be careful what brand you choose as many chelating shampoos remove buildup and strip the hair of most of its nutrients. One of the reasons I love ion’s hard water shampoo and conditioner is because it removes mineral buildup on my hair without zapping it of every ounce of moisture. Although more costly, the most direct way to reverse and prevent hard water hair damage is to invest in a good shower filter or water softener system. 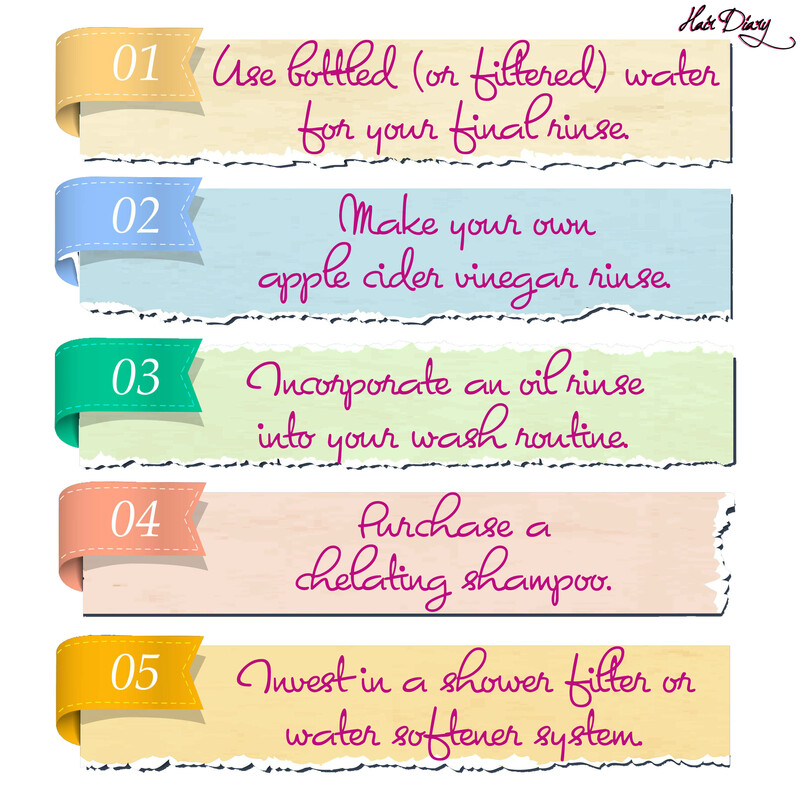 I currently consistently use two of the five above recommendations: an ACV rinse and chelating shampoo. I am also thinking of incorporating an oil rinse into my routine as well. The point is to try a couple of the suggestions to see what methods you prefer and to determine what combination of techniques will ultimately work for you and your hair. Single strand knots (SSKs) are exactly that … knots that form on a single strand of hair. Still don’t understand? Well, consider yourself blessed. The tangles they create are so pesky that they are often called “fairy knots” because the knots are so small that only an evil fairy could manage to tie them! They’re actually quite common among naturalistas because of the texture and coily structure of natural hair. I never really experienced them very often until my hair started to get a little longer (around the 6″ to 7″ mark). But, even then, I only saw one or two. Recently, though, they’ve been appearing a lot more. Those fairies have really been working overtime!!! I mostly ignored them, but the more I did, the more I noticed a flux in the growth and length retention of my hair. One month my hair would be 7″, then a week later only 6.75″. I thought I was out of my mind until I was detangling my hair a couple of days ago before bed and felt my comb snag at the end of my hair. That never happens! So, I immediately looked closer to investigate. And, lo and behold, I saw a fairy knot. I rolled my eyes in annoyance until I realized that what I thought was a single knot had many cousins. In fact, my head was FULL of them! I’m not going to lie. I panicked. I tried the needle method to try to untie each knot, but it was too cumbersome, and each knot was next to impossible to unravel. So, I took out my shears and did what I knew I had to do. I’ve always believed in the health of my hair over length. So, numerous snips later, the knots are gone, but my hair is a lot shorter … almost a full inch shorter, in fact! I basically lost an entire month of growth! Thankfully, my hair grew a full inch in December. But, those dangerous SSKs took my hair from 9.0″/9.25″ to 8.25″/8.5″ in just one day. YIKES! Needless to say, I was incredibly disappointed, especially since I have been babying my hair and only using a minimal amount of heat (only twice in 2013). Ignore them: Ignorance IS NOT bliss! Ignoring SSKs can damage your hair! The longer you ignore them, the greater the tendency SSKs have of latching onto neighboring healthy strands. When SSKs become entangled with other hair, the size of the knot and the number of knots can increase. Your hair will become more difficult to detangle and more likely to break mid-shaft (by snapping above the knot). Ignoring them can also create rougher edges and make your hair more prone to develop split ends. Unravel them: If you have the patience (and the skill), you can try to unravel SSKs with a needle by slowly releasing the hair trapped within. However, this IS NOT as easy as it sounds. Moreover, constantly jabbing at your strands with a sharp object can put undue stress on your strands. Cut them: This is the easiest option and also the most effective for preventing future damage since SSKs can cause your hair (especially the ends) to fray. Choose the Right Shampoo. Most shampoos contain harsh detergent agents that strip the hair of their natural oils. Your hair should never feel “squeaky” clean. If it does, the cleanser has likely raised your hair cuticles too much, which makes it more fragile and prone to breakage. So, try to use sulfate-free shampoos whenever possible. Consider Using a Pre-poo or an Oil Rinse. Saturate your hair with an oil of your choice prior to shampooing (pre-poo) or just after shampooing (oil rinse). This will provide extra “slip” by creating less friction between your strands during the washing process. Section Your Hair. I’ve seen many people wash and style their hair in sections, but I always thought that was for naturals with 20+ inches of hair. But, truth be told, once your hair reaches shoulder length, you should probably consider sectioning your hair, especially if you have thick hair. Depending on your preference, you can wash your hair in quadrants of chunky twists or loose braids. Doing so will discourage SSKs and prevent tangles. Use Low Manipulation Hairstyles. Protect your ends by tucking them in (a.k.a. any style where the hair is not worn loose). This includes braids, twists, bantu knots, buns, etc). While protective styles will not make your hair grow, they can help you to retain precious length. This is because they require little manipulation of the hair over an extended period of time. So, protect your hair from potentially damaging elements (i.e., the weather or even shirt collars). Natural hair tends to thrive the less it is manipulated. Less manipulation equals minimal tension and fewer tangles. Just, don’t forget to moisturize and seal your hair before protective styling. Baby (and S-T-R-E-T-C-H) Your Ends. The ends of our hair are the oldest and driest part of our hair. As a result, they are delicate and need to be handled with love and care. Moreover, shrunken curls and coils are a breeding ground for SSKs. Moisturized ends are smoother, more manageable, and less prone to breakage. Stretching your hair also reduces fairy knots and keeps them from readily forming. There are multiple ways to stretch your hair: (1) with heat (via blow dryers or flat irons), (2) flat or two-strand twists, (3) braids, (4) bantu knots, (5) roller sets, etc. Use the method that best works for you, your schedule, and your hair type. I think the primary cause for my mountain of fairy knots was created from wearing my hair “out” too much. I literally wore my hair in a wash ‘n go every day for the last three to four months! So, from now on, I will be saying, “No!” to the wash ‘n go. Instead, I will be washing and stretching. This doesn’t mean that I will no longer wear my hair down, but I will try to be more cognizant of how often I do. I think balance is key. I now know for certain that wash ‘n gos increase the number of tangles and SSKs in MY hair. As a result, I plan to section my hair more frequently (during the wash and styling process) and start to use protective styles. Have you ever fallen victim to SSKs? What’s your plan of attack?